Fijian forward Ratu Dau endured a heartbreaking exit in the 2017 OFC U-17 Championship, suffering a tournament ending injury, and ever since he has been working to make a strong comeback and help take his country a step further this year. The Tavua striker was instrumental for Fiji last year as he scored in their opening two matches against Solomon Islands and Samoa before a leg injury forced him to watch the final match from the stands. Ratu said he is keen to stir Fiji, who get underway in the 2018 OFC U-19 Championship in Papeete, Tahiti today, to a strong series of performances to see them through to the knockout stage. “I was unfortunate last year when I got a bad injury in the first two matches in the U-17 Championship, but I have worked hard to recover before this tournament,” he said. “The U-17 tournament was my best outing for my country and it was my first time to lead Fiji as captain. “I scored a goal against Solomon Islands and two goals in the game against Samoa. Fiji did not advance into the semi-finals of the OFC U-17 Championship last year based on the goal differences rule as Solomon Islands edged them out with a superior record. The two Melanesian nations are again clustered in Group B of the U-19 edition of the regional tournament. The injury in 2017 saw him spend six months watching everyone else playing football, and he admitted it was one of the hardest things he’s gone through. “It was hard for me personally because I was sidelined for six months and missed playing the game I love so much,” he recalled. “The injury doesn’t stop me from working hard and what happened to me last year has motivated me to come back stronger. For the 18-year-old Fijian attacker things are certainly on the up if his domestic performances are anything to go by. 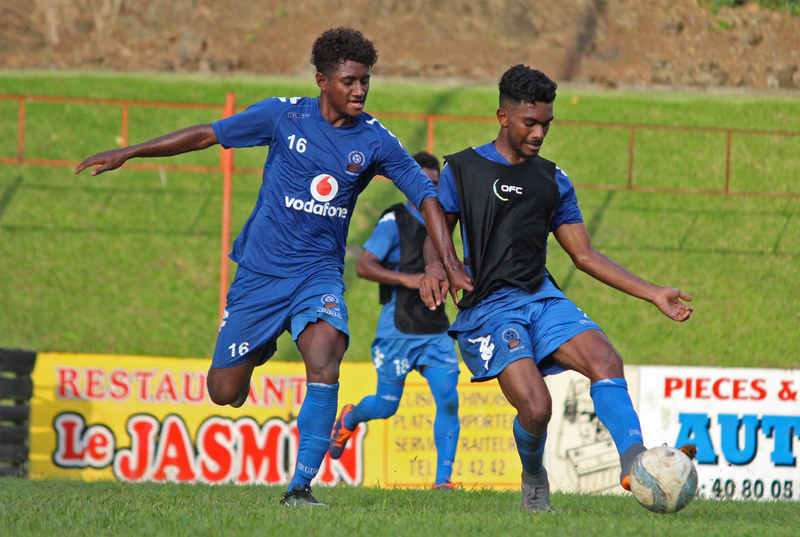 An impressive season with local side Tavua in the Vodafone Premier League saw Ratu earning his first international call-up from Christophe Gamel coach of the Fiji national football team. He made his senior international debut in July in a 1-0 loss against Malaysia and earned a place in the U-19 squad. His rise is not a surprise to many football fans in Fiji because Ratu is coming from a football playing family. The young lad insisted rugby remains is the number sport in Fiji but he opted to play football since most of his family members have represented the country in the sport. “I came from a football family. My uncles used to play football so that motivated me to continue carrying on the family tradition,” he explained. Meanwhile, Ratu and company take on Vanuatu in their opening group match on Monday. “I am looking forward to hopefully opening my scoring account in our first game,” he said with confidence. “We know Vanuatu are always going to compete whenever they play Fiji.